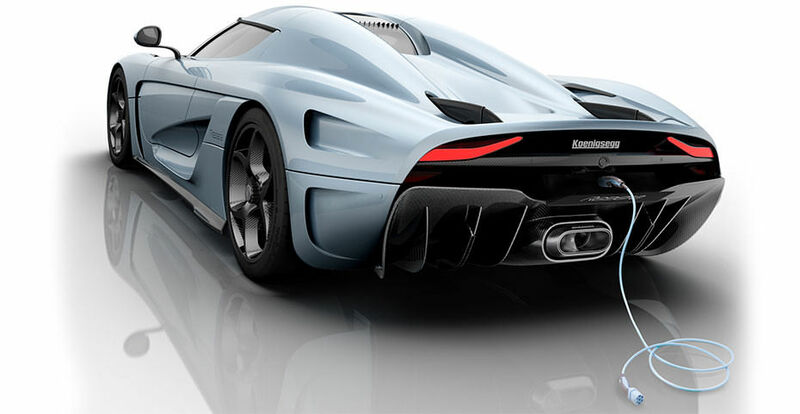 In the 2015 Geneva Motor Show, the Koenigsegg Regera was undoubtedly the most powerful and insane car of them all. The Regera is slotted to be the successor of the Agera One:1 which boasts of a power to weight ratio of 1000 bhp per tonne, which is almost twice as more than a Bugatti Veyron. Regera is a Swedish verb meaning ‘to reign’, which it will with its petrol and electric engines. The custom built 5 litre V8 engine has two turbos strapped on and produces 1,085 bhp. The electric motors (of which there are three), one is coupled with the engine while the other two power each rear wheel. The motor coupled to the engine produces 215 bhp with 300 Nm of torque while the other two motors produce 241 bhp each with 260 Nm of torque and also help with torque vectoring (Torque Vectoring is a system in which the ECU or Electronic Control Unit sends more power to the wheel which has the most grip such as in rain or when over steer is countered). This gives the Regera a total power output of 1,797 bhp out of which 1,479 bhp and 2,100 Nm of torque is usable by the driver. The electric motors are all powered by a 9 kWh liquid cooled battery pack developed by Rimac and give up to 35 km of pure electric mode in city driving. The most notable feature of the Regera that it does not have a conventional transmission system but instead features Koenigsegg Direct Drive or KDD, in which the electric engines as well as of the combustion engine run at speeds proportional to the wheel speed. 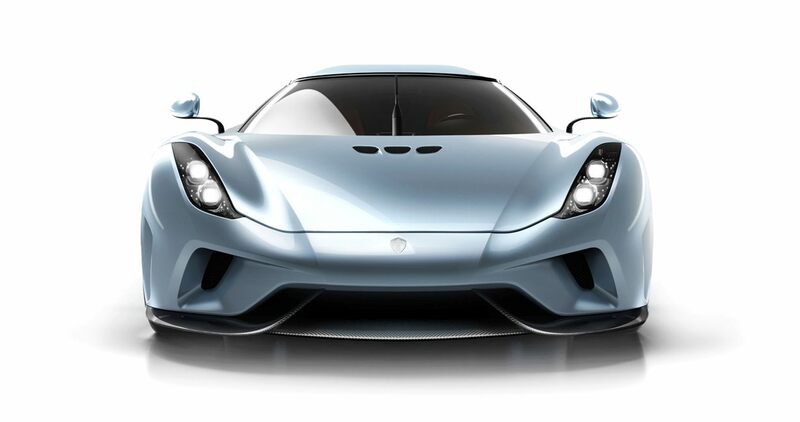 Koenigsegg claim that the absence of a gearbox and addition of electric motors and battery adds 88 kg compared to, if the Regera the same combustion engine but a 7-speed DCT gearbox and no electric engines or batteries. The Regera has a claimed 0–400km/h (248mph) acceleration in under 20 seconds and is limited to 80 production units each costing $1.9 million. The Regera will rev to 8250 rpm with a top speed of 410 kmph. The Regera will go from 0 to 100 kmph in 2.8 seconds, which is slower than the Bugatti Veyron since it has 4 Wheel Drive while the Regera is only Rear Wheel Drive. 0 to 300 to 0 takes just 12.3 seconds. Power to weight ratio is 908 bhp per tonne, which is same as the Ariel Atom 500 which has a 550 bhp engine and weighs just 550 kg. This is mainly due to the Regera being heavier than the Agera at 1.628 tons. Intrestingly, the Koenigsegg along with its main riva Bugatti provided two separate contrasts i.e. Bugatti were ending their tryst of speed with the Veyron and Koenigsegg on the other hand were just beginning theirs. Also seen was the contrast between the Veyron and the Regera, which is that the Veyron a completely petrol powered car since its launch to its demise while other car makers sch as Ferrari, McLaren, Porsche and now Koenigsegg have moved on to the now popular petrol engine coupled with a hybrid system. At its launch, the Veyron went on to spawn a new breed of Hypercars which had the performance to rival a GT3 racing car along with luxury that was incompromised in all aspects spawning a new genre of cars such as the Bentley Continental and the Rolls Royce Phantom Drophead Coupe. The Regera on the other hand has taken inspiration from cars such as the Porsche 918, McLaren P1, Honda NSX and the LaFerrari. Four Door Koenigsegg might come alive in 5 years!